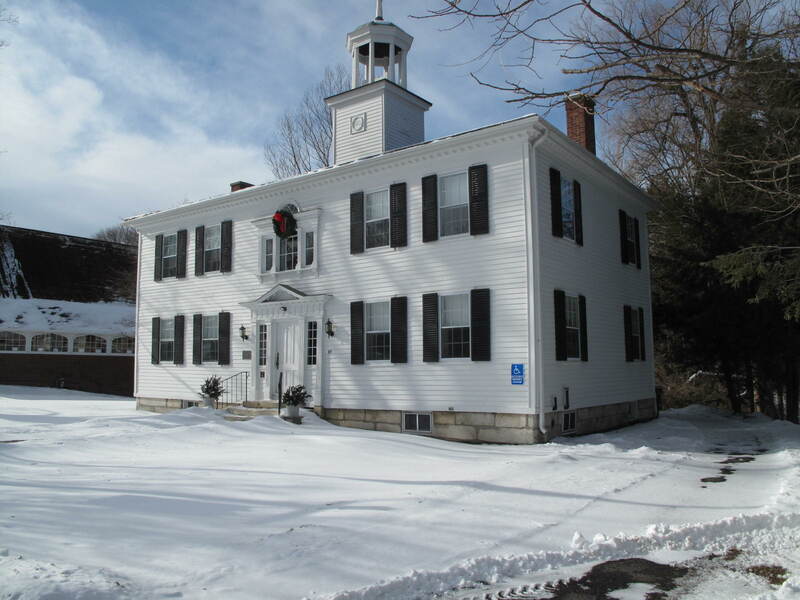 On January 5, 1803, a group of twenty-five Lenox citizens petitioned the State Legislature to grant an incorporation to their group for the purpose of establishing an Academy. They were incorporated February 22, 1803 as “The Berkshire Academy,” the name being changed to the Lenox Academy in June of that year. The Academy flourished throughout the first half of the nineteenth century, and had a number of illustrious headmasters and students including John Hotchkiss, Josiah Lyman, Mark Hopkins and Charles Sedgwick. The Academy closed in 1866, serving as a public high school from 1869 until 1879. In 1879, under the direction of Judge Julius Rockwell, the building was moved to a new foundation and repaired, reopening the following year under principal Harlan H. Ballard. In 1886 the building was again put to use as a public high school, serving in that capacity until 1908. The Academy was incorporated as a private school, the Trinity School, in 1911 and remained in operation as such until the 1920’s. After a period of vacancy and the threat of demolition, the decision was made at a special town meeting to preserve the building, and in 1947 the trustees of the Academy turned the building over to the town. Since that time it has served as office and meeting space for various public groups including the Girl Scouts, the Lenox Garden Club, the Chamber of Commerce, the Historical Society, the Chamber of Commerce, and the Lenox Historical Commission.